"Lena Herzog may or may not invest in a transcendental order, but her vision is profoundly humane. After the initial shock imparted by these photographs by virtue of their subjects, what comes across is their tenderness." Lost Souls records Lena Herzog’s journey into a world rarely seen by outsiders: cabinets of wonder and curiosities (Kunstkammern and Wunderkammern) which include the world’s earliest medical museums, where oddities have been closely guarded for centuries. Herzog was granted access to the Wunderkammern around the world and has photographed the mysteries they contain with a sense of beauty, wonder and tenderness. Her subjects are mostly infants born with genetic defects that prevented their survival, and although they have been preserved as scientific specimens, some for hundreds of years, they are profoundly transformed through Herzog’s lens into beings that mirror our own fears and existential dilemmas. Herzog follows this portrait gallery of sorrows with images of the skeletons and bones of various creatures–both warm and cold-blooded–and continues the journey with views of some of the unusual subjects on display in the curiosity cabinets. The final section, The Mice Orchestra, or The Rhapsody of Death, shows a diabolically witty scene, an actual 19th century installation from the Anatomy Museum of the Leiden University Medical Centre that has been hidden in the museum’s catacomb storage for years. Herzog uses a combination of unique processes for developing her negatives and printing her photographs, resulting in images with tonal subtleties, palpable texture, superb clarity and resonance. 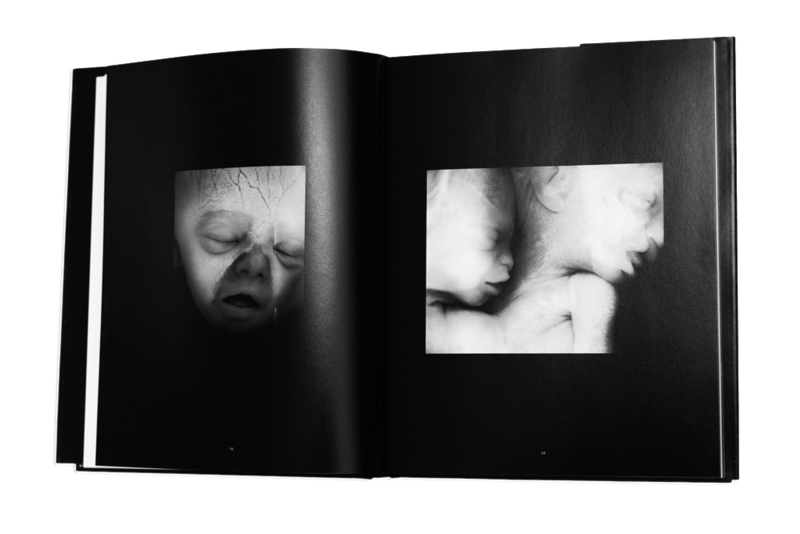 This book reproduces Herzog’s prints that were exhibited at the International Center of Photography in New York in 2010.